Patrick Martin is in his second career after serving in the Army’s 82nd Airborne. He was awarded the Purple Heart after sustaining injuries in his last deployment to Afghanistan. Patrick decided to pursue a career in journalism after encountering numerous journalists on his deployments, which lead him to study at FAU. He was encouraged to write for the University Press, and quickly rose through the ranks to become news editor. The UP taught him how to work in a newsroom, and understand the workflow of bringing a story from concept to published piece. It also provided him with a portfolio of work that he could show local news outlets. Patrick graduated from FAU in May 2016. He then attended Columbia University Journalism school as the 2017 Chancellor Scholar, where he received his Masters of Science in Journalism. After grad school, Patrick went on to work at Bloomberg News covering the energy market. Currently, Patrick works for NBC Nightly News with Lester Holt producing investigative, enterprise and breaking news stories. Luc graduated from FAU in 2010 with a BA in Music Education. In 2013, Luc returned to his hometown of Saint-Marc, Haiti to give back to his community. Seeing a lack of opportunity and the level of poverty that people were living in, Luc was inspired to start the Artibonite Gospel Tabernacle (AGT). His mission was to provide a place for education (university), healthcare (hospital), and meet people's spiritual needs (worship center). On April 5, 2017 that vision came true when he purchased 31.9 acres to build the center. The new center will have a University, Hospital, a place of worship, and a conservatory of music. If you would like to learn more about AGT or donate to the project, please visit agtcenter.org. In addition to the center, Luc has been involved in the music community in both South Florida and Haiti. He started the Beauliere Academy of Music in 2005 in West Palm Beach, and opened a second location in Saint-Marc in 2013. Luc hopes to continue to help improve the Saint-Marc community through music, teaching people how to read, helping them get access to education, and more. While at FAU Corey participated in study abroad programs in Spain and Ecuador. He then earned a Masters in Spanish at FAU before joining the Peace Corps, which stationed him in Bolivia. Corey learned one of the native languages of Bolivia, Quechua, while working on projects in the mountains of the Andean country. He later joined USAID and was stationed in Peru. From there his career has taken him literally around the world, and his job has required him to continue to learn languages. His most recent posts required learning Russian and French. He is currently the Program Director for USAID in Cote d’Ivoire, where he is responsible for US development programs in health, inclusive economic growth, democracy and good governance in various countries of Africa. Corey was nominated as the 2017 Outstanding Young Owl for the College of Arts and Letters. Elizabeth recently received a Carbonell Award nomination for her role in “Reborning” which was staged at Arts Garage. Elizabeth has worked as an actor and director in theatre and film in Los Angeles, New Orleans, Dallas, Austin, Atlanta, and New Mexico, but has now made South Florida her artistic home. She recently appeared at FAU’s resident professional company, Theatre Lab, in Steven Dietz’s “This Random World.” She has also appeared in Outre Theatre’s “The Normal Heart,” “The How and the Why” at Arts Garage, as Jack in Thinking Cap Theatre’s “The Importance of Being Earnest,” in City Theatre’s Island “Shorts” and “Standing on Ceremony,” and in several radio plays with Arts Radio Network. As a proud FAU alum, her last role at FAU was Barbara in “August: Osage County” which was named as one of the top ten best productions in South Florida in 2014In addition to her busy performance career, Elizabeth also teaches at FAU as an Adjunct Professor in Acting and Directing. Elizabeth is a consummate professional with tremendous talent who has quickly become one of South Florida’s most respected artists. Pablo was nominated and selected by the Dean of FAU’s Dorothy F. Schmidt College of Arts and Letters to become a member of the Parliament of OWLs (Older, Wiser, Leaders). The Parliament of OWLs is an honorary leadership society of the FAU Alumni Association. Each year, a soon-to-be graduate/recent graduate from each FAU college is inducted into the society and honored with a commemorative pin, a replica of a burrowing owl feather. The society is for a select few students who have demonstrated leadership and aptitude during their tenure at the University. In 2015, only ten students have become members. Carreño graduated in 2015 with a B.F.A. in Theatre Performance and a B.A. in Spanish (dual degrees). Prior to beginning his literary and theatrical studies here at FAU, Francisco completed a BS in Mechanical Engineering in his native Peru and worked as project engineer and project manager for Loesche America, Inc. He came to FAU to pursue his true callings (Spanish Literature and Theatre). During his undergraduate studies at FAU, Francisco demonstrated truly exemplary leadership in many realms. He served as President of FAU’s Sigma Delta Pi Spanish Honor Society, Rho Omicron Chapter and in this context, represented FAU and the chapter in a local newscast reporting on a national award received by the FAU chapter. (See the Channel CBS12 News Feature here: - http://youtu.be/E6pk4e5vpTE ). He completed high-level honors research on “Sismología en la Fiesta del Chivo de Mario Vargas Llosa: Heteroglosia en la narrativa del trauma” and shared it formally with the FAU community in bilingual format—in English at the Undergraduate Research Symposium, and in Spanish at the Spanish Honor Society’s initiation ceremony in April 2015. He was a Spanish AcCESS Tutor (for all levels of the Spanish undergraduate curriculum) at the Center for Learning and Student Success (CLASS). In the context of his theatre studies, he was an integral member of many productions, in addition to producing and acting in El suplicio del placer, a Spanish-language performance made possible by Francisco’s deep engagement in both of his chosen disciplines. Francisco has demonstrated exemplary service across multiple departments and contexts, for the enrichment of the entire FAU body. Marlow was named the 2015 Distinguished Alumni for the College of Arts and Letters. With 11 nominations and one American Grammy already on his shelf, Marlow Rosado is a driving force in the tropical music industry. He has more than two decades of experience as a pianist, composer and producer, and a powerful portfolio that includes work with top Latin recording artists including Ricky Martin, the late Tejana singer Selena, Tito Puente, the late Salsa legend Celia Cruz, and many more. After teaching elementary school in Miami for 10 years, Rosado decided to take a leave of absence to open what has become a successful recording studio, bringing in top international recording artists. He is continually sought out by his fellow artists for his musical arrangement and directorial skills. It is not uncommon to see Rosado’s name on album liner notes as a pianist, producer, songwriter or musical director. Rosado took center stage in 2009 when he released his first album “Salsalsa” under Fania Records. In 2012, his sophomore album “Retro” surprised not only him but the entire industry when it won the 2012 Grammy for Best Tropical Latin Album, beating out gigantic bachata artist Romeo Santos. In July 2014, Rosado released his third album “Salsanimal,” a beast of a production. Rosado received the Premio La Musa Elena Casals Award at this year’s Latin Songwriter’s Hall of Fame and is now working on his fourth album, set to be released in June 2015. He’s proud to say that FAU helped to prepare him for this amazing world of music. Jenny has been hired by the United Nations Relief Works Agency. She will be working out of Amman, Jordan. Baez was a member of FAU’s Diplomacy Program, competing in the 2010 National Model United Nations (NMUN) conference in New York, and the 2010 European Model United Nations event in The Netherlands. She also joined the FAU AmeriCorps program. 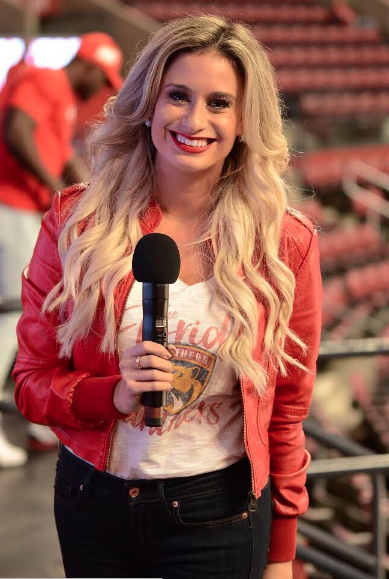 After graduating from FAU, Baez pursued her graduate degree at the Institut d'Etudes Politiques de Paris (Sciences Po), a renowned social sciences school in Europe. Her two-year Master's degree was focused on international security, particularly centered on the Middle East. As part of her study, Baez completed a six-month internship in Amman, Jordan with the United Nations Relief and Works Agency (UNRWA). After completing her M.A., Baez was hired by the UN to continue her work with refugee relief. Rory received the FAU 2014 Distinguished Alumni Award. Rory was chosen for his service to our nation, service to our veterans, and service to FAU as an outstanding graduate. Rory was raised in South Florida and after high school served as a member of the U.S. Navy SEALs for eight years. He then returned to South Florida to pursue a degree in the School of Communication and Multimedia Studies. After graduation, Rory became a financial adviser and his 30-year career includes work as vice president of JP Morgan and financial advisor for Edward Jones Investments. He also created, and is now vice director of, the Tampa Bay Frogman Swim for the Navy SEAL Foundation, which aids active duty Naval Special Warfare personnel and their families. The event has raised more than $700,000 over four years and is used as a model for a nationwide series of swims/fundraisers for the Navy SEAL Foundation. Judith of Athens, GA, has been named the University of Georgia's 2013 recipient of the Southeastern Conference Faculty Achievement Award. She is currently the University’s Franklin Professor of English and Creative Writing. 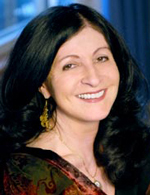 Ortiz Cofer is a two-time Pulitzer-Prize nominee and received the FAU Dorothy F. Schmidt College of Arts and Letters' Distinguished Alumna Award in 2012. Ortíz Cofer was inducted into the Georgia Writers Hall of Fame in 2010 and in 1994, she became the first Hispanic to win the O. Henry Prize for her story “The Latin Deli”. In 1996, Ortíz Cofer and illustrator Susan Guevara became the first recipients of the Pura Belpre Award for Hispanic children’s literature.